NEW YORK, NEW YORK, USA, September 12, 2018 /EINPresswire.com/ — The Center for Intellectual Property Understanding (CIPU) announced today that registration is now open for the 2018 IP Awareness Summit. It also said that a presentation about IP literacy by Manny Schecter, Chief Patent Counsel for IBM, will be leading-off the conference. IPAS 2018 is devoted to improving how IP rights are seen and understood. Mr. Schecter will be addressing the need for better understanding about the impact of IP rights in a fast-paced, easy-access world. Confusion about the purpose, use and patentability of inventions, authored works and designs, and their rights, has led to widespread IP theft on the part of both individuals and businesses. Uncertainty inhibits innovation and competition, increases frustration and discourages investment. IPAS 2018 will examine ways to improve audiences’ basic IP awareness. Registration is free except for a nominal charge for overhead and is now open for the second annual Intellectual Property Awareness Summit – IP Literacy in a Digital World. The Summit will examine the impact of information and speed on how intellectual property is seen and often taken for granted, as well as ways to address it through education and the media. For the current full current list of IPAS 2018 participants and partners, go here. IPAS 2018 will draw participants and panelists from the U.S., Europe and Asia, and provide opportunities to network and share ideas. Discussions will include best ways to address the widespread confusion over IP rights, and the growing acceptance of IP theft. IPAS 2018 attendees include IP holders, executives, educators, creators, service providers and IP organizations. Space is limited. Participants can expect interaction, networking and exploring the role of such groups as government, the media, and educators in making IP rights more intelligible, and the impact of failing to. To view the IPAS 2018 program and event website, visit www.ipawarenesssummit.com. Watch for updates — to register, go here. 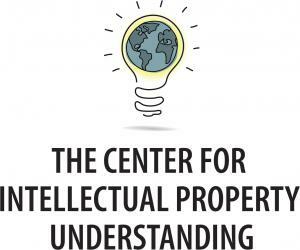 The Center for Intellectual Property Understanding is an independent, non-profit organization dedicated to increasing awareness of intellectual property rights and their impact on people, business and society. CIPU conducts research, holds events and seeks to improve the reputation of IP rights and deter infringement through education and communication. The Center tracks changing attitudes toward patents, copyrights and trademarks, and through outreach provides a framework for how IP rights facilitate ideas and promote competition. For more information visit www.understandingip.org.